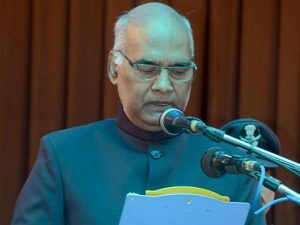 President-elect Ramnath Kovind won the president election on Thursday. The US on Thursday congratulated the newly elected President of India Ram Nath Kovind after his electoral victory and expressed its interest in working with him on regional and global issues. Kovind, a lawyer-turned-politician, was yesterday elected as the 14th President of India, the first BJP member and the second Dalit to occupy the country’s highest office. She mentioned that India and the US have a deep and growing strategic partnership and they are ready to join Ram Nath Kovind on regional and global issues. Nauert also gave credit to the close people-to-people contact with the world’s two greatest democratic bodies with the kind of partnership they are sharing. Ramnath Kovind will be sworn in on July 25, when President Pranab Mukherjee completes his five- year term.